“One Night in Bangkok,” a benefit for Broadway Cares/Equity Fights AIDS, will be held at Bistro Bistro (1727 Connecticut Ave., N.W.) on Monday, Aug. 14. The event is a joint effort between La Ti Do Productions and members of the national touring company of the Lincoln Center Theater Production of “The King and I” and will feature an evening of song and dance. 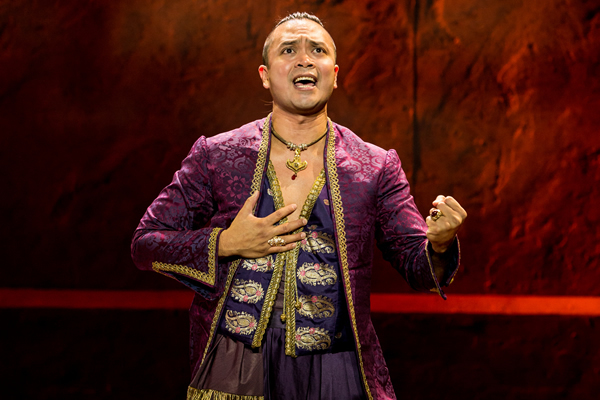 Among the performers are Jose Llana, a D.C.-area native, who plays the King of Siam in “The King and I.” The touring company of this production has raised more than $100,000 for Broadway Cares/Equity Fights AIDS in various parts of the country. VIP tickets are $40 and includes a pre-show reception with the cast at 7 p.m. Doors open at 7:30 and the show starts at 8 for regular admission ticket holders ($25). Details at onenightinbangkok.net or latidoproductions.com. Nice costume. Looks like something nice to wear around the house.